Dutch voters have sent shock waves through Europe at the polls on Wednesday in the wake of Monday's deadly Utrecht terror shooting, in which a now detained 37-year old Turkish man went on a terrifying tram killing spree which left three dead and three injured. Euroskeptic party, Forum for Democracy (FvD), has emerged victorious in key provincial elections this week, paving the way to making it one of the two largest groups in the Dutch Senate, and representing growing Dutch frustration with the recent unprecedented refugee influx in Europe. International reports have described the FvD as receiving "a surge of last-minute support" in the days following the Utrecht attack, which investigators have since described as having a "terror motive" based on a letter found in shooter Gokmen Tanis' possession. If people want more deadly shootings like the one in Utrecht, then they have to vote for the VVD. 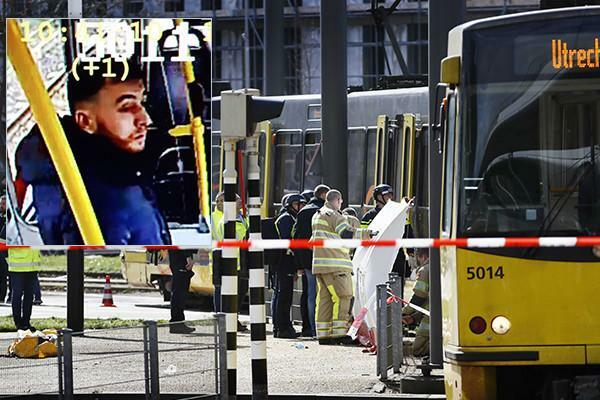 Three were killed and several injured in Monday's Dutch tram terror attack, which raised the country's emergency threat level to five as it was unfolding, its highest level. Following the lead of US President Donald Trump, Baudet opposes immigration and emphasises "Dutch first" cultural and economic themes. He opposes the euro and thinks the Netherlands should leave the European Union. 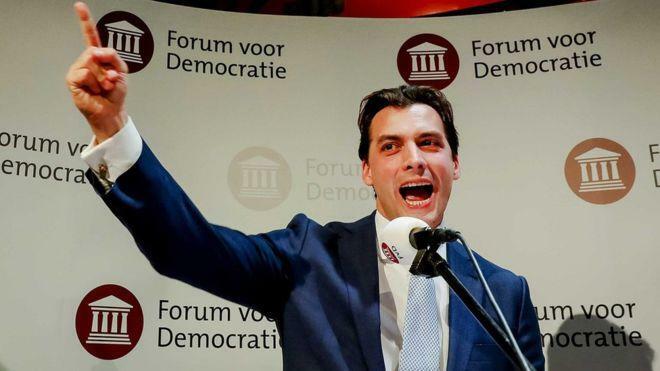 Baudet had continued campaigning when other parties stopped after Monday's attack in Utrecht, in which a gunman shot three people dead on a tram. The populist leader blamed the incident on the government's lax immigration policies. The FvD is now set to take 12 seats in the upper house of parliament, which is equal to Prime Minister Mark Rutte's conservative VVD Party, a scenario before this week considered unlikely according to many observers. The FvD slightly outscoring the VVD means Rutte's government has lost its majority for the 75-seat Senate ahead of upcoming May elections. In a post-election speech on Wednesday, Baudet described further that what's now being described in international media as "an upstart populist party [that has] shocked the Dutch political establishment" as punishing the arrogance of elites. In his pro-Western civilization themed remarks, Baudet added, "We are standing in the rubble of what was once the most beautiful civilization in the world."